Recent global events added to our own personal stressors have made it more difficult for us to cling to our hopes and dreams for a better world. That’s why more and more people are turning to meditation to attain the inner calm and peaceful countenance that seem so elusive in the present time. 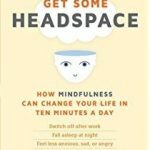 These books on meditation and mindfulness will help you gain focus, achieve serenity and lower stress levels. Here’s hoping they will be of valuable assistance to you in your daily practice. 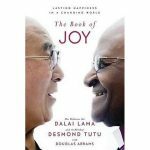 Written by the Dalai Lama and Archbishop Desmond Tutu who have been through grievous suffering and oppression, The Book of Joy shows the reader how to achieve enduring happiness by assimilating eight positive qualities they called the eight pillars. Paradoxically, these eight pillars are simple truths coming from deeply respected spiritual leaders. And not surprisingly, those who are engaged in meditation and mindfulness agree because they have found that constant meditation brings out these qualities in them. The meditations in this book are based on the philosophy of Stoicism but are worded in practical and concrete words rather than abstract ideas. 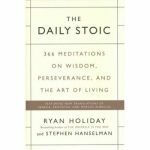 Ryan Holiday effectively picks the works of stoic philosophers Marcus Aurelius, Epictetus and Seneca and transforms them into modern and usable content. For example, the verbose discourse of Epictetus on Control and Choice is simplified into “differentiating into what we can change and what we can’t…what we have influence over and what we do not.” By accepting this unchangeable truth, the reader attains a happier life. Shaken is Tim Tebow’s story of how he dealt with rejection and a shattered dream. A professional NFL quarterback of the New England Patriots, he suddenly found himself without a career and nowhere to go. His rise and fall in football was followed by the public. Tebow writes how his experiences had utterly shaken him and how his faith held him up and carried him through the darkest nights. What he went through only served to reaffirm his identity founded on his spirituality and principles and not on worldly achievements and wealth. 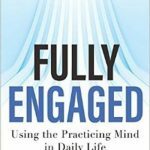 Thomas Sterner follows up his first book on developing discipline and focus in one’s life with Fully Engaged, which talks about techniques for achieving one’s goals without getting into a frenzied state. His fifth chapter, A Mantra for Inner Peace, delves into the propensity for always looking at the future step or event leading to the goal, instead of focusing on the present. His techniques help the reader to achieve the goals set with as less stress as possible. 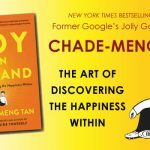 Chade-Meng Tan shows the reader that the mind can be trained to achieve sustainable and enduring joy through mind-training, which is another word for meditation. Specifically, Tan says, mindfulness meditation is practicing how to pay attention to the present, on purpose and without judgment. 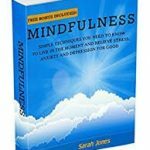 This book is practical and helpful since it teaches us how anyone can incorporate mindfulness meditation into their busy and fast-paced lives, which is the norm nowadays. And when one has learned how to attain that joy, success in work, family and relationships follow. Enlightenment is often viewed as an abstract and esoteric concept that only gurus and mystic leaders can achieve. Not so, says Shinzen Young, as he explains the science of how mindfulness meditation works. He also shows how it can improve one’s mental skills, compassion, and relationships to other people and the world. 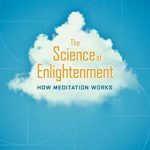 This book contains easy-to-follow techniques for practicing meditation and traces the root cause of our anxieties and stress to our younger years. Accepting that we have all been exposed to false perceptions, we learn how to control our negative thoughts and emotions by following the methods incorporated in the book. 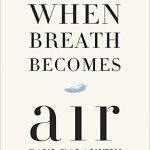 Written by Dr. Paul Kalanithi, a neurosurgeon who was diagnosed with Stage IV lung cancer and died at the age of 37, this book is a moving chronicle of his thoughts about the meaning of life, especially for someone who is reaching his peak and knows he is going to die soon. From learning how to live, he also writes about learning how to die. Anyone who reads this book will leave reflecting upon their own lives and wanting to leave behind something good when death comes. 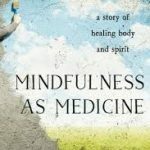 Jon Kabat-Zinn, Professor of Medicine Emeritus and mindfulness guru writes about the lasting contentment that comes with practicing mindfulness and how to incorporate the integral acts of heartfulness and awareness of our own selves and our surroundings into daily life. This book is as good for long-time practitioners of meditation as it is for beginners in recouping our lives and healing our souls to attain equanimity in various mental states and the elusive inner calm. 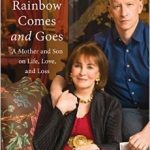 Journalist and CNN news anchor of his own show Anderson Cooper shares his year-long digital correspondence with his mother, the famous Gloria Vanderbilt, now 91 years old, and how they are only now getting to know each other. Their shared and separate experiences of loving and losing, the tragedies and triumphs they have gone through, and their diverse views of the world shows the reader how relationships can survive and last. 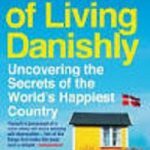 London-based journalist, speaker and author Helen Russell moves to Denmark because of her husband’s job and discovers why it is consistently the world’s happiest country. This entertaining and playful book talks about Danish pastries but also reveals the natural traits of its people that play a large part in their happiness. The author, a Buddhist nun at the Thich Nhat Hanh monastery and a doctor by profession, shares her story of suffering and her journey towards healing. Diagnosed with the dreaded Lyme disease, she applied both medical therapy and the practice of meditation to heal her of the disease and the physical and emotional suffering she went through including the horrors in war-torn Vietnam and the tragedy of losing a loved one. 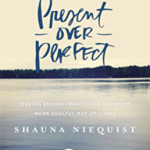 The book complements the popular meditation app made by the author, a former Buddhist monk. Based on first-person experiences, Puddicombe teaches the reader techniques for meditation to enhance all aspects of a person’s physical and mental health. He shows how taking 10 minutes of each day for mindfulness meditation can help you achieve calm and fulfillment. The book contains a collection of essays written by the author. Like most people, she is always seeking perfection in everything at the cost of connection and depth. The need to prove one’s worth leads to frenzy and life’s meaningful is shed on the sidelines. This book is about the need to slow down and discover the beauty of a simpler and more harmonious life, leading to an inner peace with one’s self and others. Goals differ from person to person but almost everyone has experienced losing the drive and inspiration to pursue these goals. 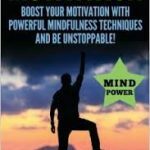 This book shows mindfulness techniques to use to overcome resistance and negativity and become proactive in the face of adversity. 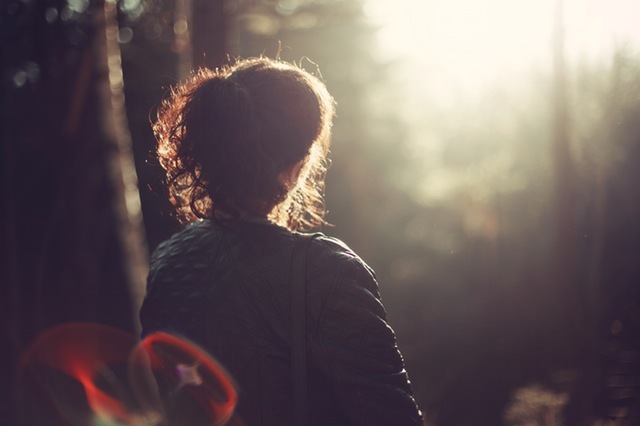 Expectations from the self and others lead to anxiety, stress and worry. It can cause panic attacks and stress-induced illnesses like migraines and hyperacidity. 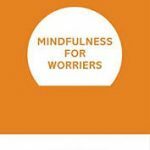 Now science has come up with evidence to prove that mindfulness can provide relief from the anxiety of a worrying mind. 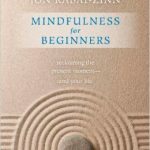 This book teaches you the techniques to become mindful and attain calmness and keep an even keel.